Entering into a purchase and sale agreement is a big step for most people. Most people do not buy or sell homes often enough to become intimately familiar with the advantages and pitfalls of different decisions related to the purchase and sale contract or the mortgage. Often, getting a favorable deal requires an understanding of complex information and regulations as well as the assistance of a real estate attorney. 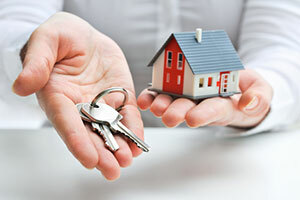 Our firm has experience representing buyers, sellers, and lenders. If you are hoping to buy or sell a home, the Salem real estate lawyers at Pulgini & Norton may be able to help. In some markets, it may be important for a buyer to frame an offer so that it will be appealing to the seller. A buyer may be at a significant disadvantage in situations in which they do not understand the full costs of buying a home or how mortgages typically work. It may be possible for sellers to help the buyer so that the deal works well for both parties. For example, in some situations, it may be appropriate for the parties to negotiate seller carryback financing. This happens if traditional lenders will not offer the total amount of financing necessary, and the seller chooses to serve as the lender for the additional amount. The seller carries a second mortgage on the home, which the buyer pays off each month. The seller's decision to do this increases the number of potential buyers or buyers who are qualified to buy the home. As a seller, you need to be certain that the buyer will make the mortgage payments in a timely and consistent fashion and that your home is worth the amount that you are asking for it. This is a method that is appropriate to facilitate a sale that may otherwise not go through, but it may be risky. Sellers interested in doing this should determine the buyer's credit and calculate a down payment. The interest rate on seller carryback financing may be 8-15%, and it will be higher than the market-based interest rate, due to the fact that no lender is willing to loan the total amount needed. When constructing the agreement, it is wise to have the assistance of a real estate attorney in the Salem area. The terms may be similar to those of traditional loans, and they may involve fixed rate or adjustable rate terms. If the buyer does not make the payments, the seller will be the last party to be paid, and the traditional lender will be paid first. In some cases, the lender may not allow seller carryback financing. Another way that a seller may help ensure that a sale goes through is by negotiating closing costs and agreeing to provide a credit. However, the way that this request is couched by a buyer may affect whether the seller feels that they are getting a fair deal. From the seller's perspective, asking for closing costs to be credited is asking to reduce the sales price by the amount of the costs, which often number in the thousands. From the buyer's perspective, the closing costs are an expense that is not necessarily factored into the value of the home. A seller is limited in how much they may credit to the buyer. Each lender provides certain limitations, but usually the credit may only be 3-6% of the purchase price. As a buyer, it is important not to expect more than this and to be aware that in a seller's market, the seller may not need to accommodate a request for a credit because they may have the option of going with a buyer who can easily meet the asking price. Salem is a coastal city north of Boston with a population of over 40,000 residents. Its cultural identity derives in part from its role as the site of the Salem witch trials depicted in Arthur Miller's play The Crucible. At Pulgini & Norton, our experienced Salem real estate attorneys can advise you on an appropriate strategy for buying or selling a home and securing a mortgage. For a consultation with a property transaction lawyer, contact us online or at 781-843-2200.